Nifty is again in the downtrend. Due to this lower valuation of the stock market, I got many queries from my followers that they want to start an investment in good mutual fund schemes. Due to your demands now I publish my new list about best mutual funds and best ELSS to invest in 2018. So in this article, I give you the list of top 5 diversified mutual funds and ELSS for 2018. 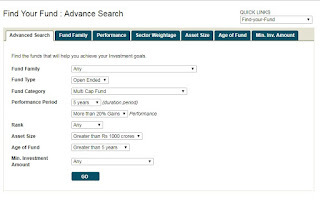 How to select a best mutual fund scheme? Here I give top 3 mutual funds and top 3 ELSS scheme name for 2018. 1. 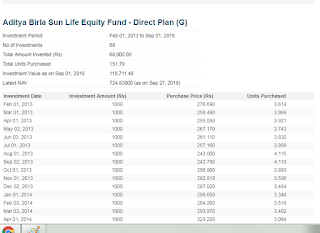 ABSL Equity Fund-Direct Plan Growth:- ABSL means Aditya Birla Sun Life, These days investor mostly invest in the mutual fund's direct plans. Because direct plans have no intermediatory expences so direct plans give more attractive returns in comparison to regular plans. For example, In the last 5-years period, ABSL Equity fund direct plans give 178.2% absolute returns in comparison to 165% absolute returns of the regular plan. So more than 5 years of track record. Asset Size:- More than 10,000 crore. It is nice because I like the largest Asset size funds. Multi-Cap Fund:- It means fund invests in large-cap mid cap and small cap companies. If on 1 Feb 2013 you start 1000 rupee per month SIP in this fund then the current value of your portfolio is 1,19,711.49 rupees, and your basic investment amount is 68000 rupees. 2. Kotak Standard Multi-Cap Fund-Direct Plan Growth:- This fund also launch on 1 Feb 2013, and in last 5 years, this fund gives 171.10% absolute returns. Asset Size more than 10,000 cr. 3. 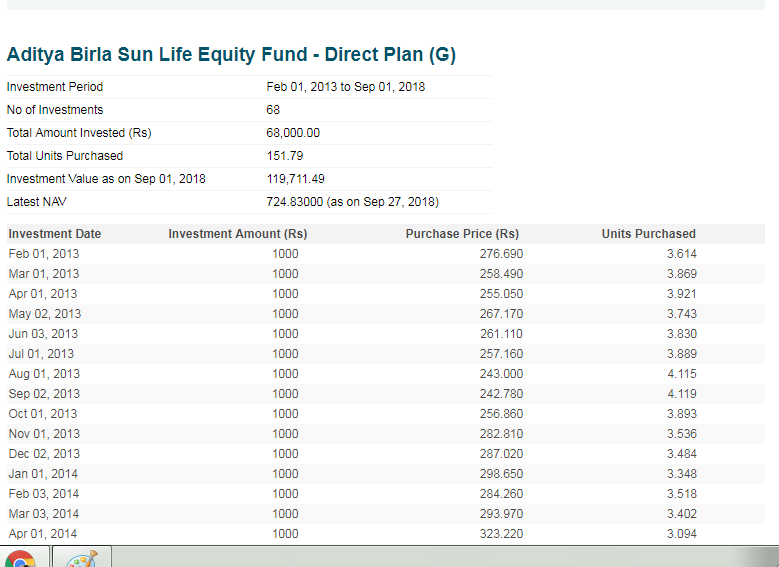 Franklin India Equity Fund-Direct Plan Growth:-This fund also launch on 1 Feb 2013, and in last 5 years, this fund gives 150.60% absolute returns. Asset Size more than 10,000 cr. 4. HDFC Equity Fund-Direct Plan Growth:-This fund launch on 1 Jan 2013 and in last 5 years, this fund gives 145.60% absolute returns. Asset Size more than 10,000 cr. 5. Reliance Multi-Cap Fund-Direct Plan Growth:-This fund also launch on 1 Feb 2013, and in last 5 years, this fund gives 138.20% absolute returns. Asset Size more than 10,000 cr. And I am making a SIP in all of them, now what to do? 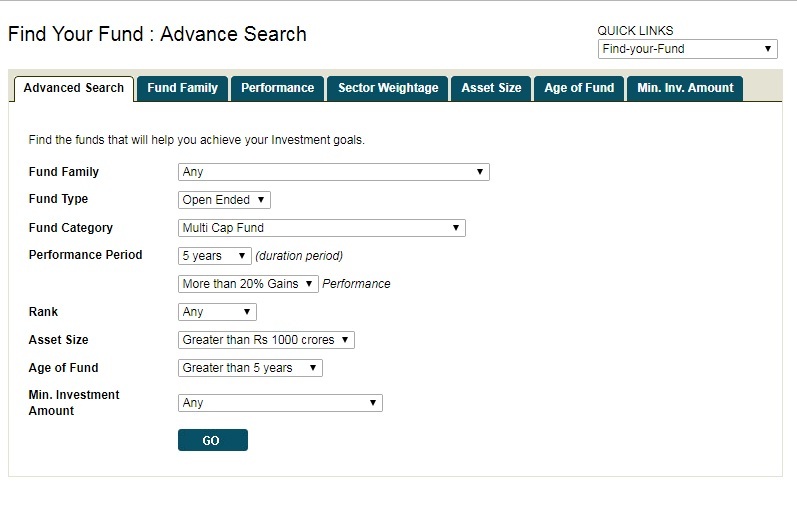 because in your new list I do not find ICICI Pru Value Discovery Fund (G) and Franklin India Prima Plus (G) so what can I do? Can I need to shift these funds with new schemes? My Reply:-Franklin India Prima Plus change its name to Franklin India Equity Fund, so you do not need to shift this fund. ICICI Pru Value Discovery Fund (G) gives 178.40% absolute returns in the last 5 years but due mutual funds new classifications rules this fund going to value fund category. So you no need to shift any earlier fund to new fund simply start 3 new SIP's in above ABSL, Kotak, Reliance fund schemes to diversify your investments. 1. Axis Long Term Equity Fund-Direct Plan G:- Asset size more than 10,000 cr. In the last 5 year absolute return:-198.90%, ELSS always give more return in comparison to other diversified open-ended multi-cap funds because ELSS have a lock-in period of 3 years and due to this 3 Years lock in fund manager not faced redemption pressure from fearful investors. 2. Reliance Tax Saver ELSS Fund-Direct Plan G:- Asset size more than 10,000 cr. In the last 5 year absolute return:-169.60%. 3. HDFC Tax Saver Fund-Direct Plan G:- Asset size more than 7268 cr. In the last 5 year absolute return:-136.10%. 4. ABSL tax relief 96 Direct Plan G:- Asset size more than 7019 cr. In the last 5 year absolute return:-187.20%. 5. SBI Magnum Tax Saver-Direct Plan G:- Asset size more than 6753 cr. In the last 5 year absolute return:-118.30%. So in my verdict, if your total income is taxable and your total saving not crossed 80 C limit of 150000, then you may go with ELSS because initially you save your 5%, 20% 30% income tax in ELSS and in long-term you get more returns in comparison to regular multi-cap mutual funds. Now your time share your view, questions and thoughts in comments I try my best to reply you. Discloser:- My wife hold units of Axis Long Term Equity Fund and I am holding units of HDFC equity fund, so my personal investment and personal interest are included in above 2 funds, author of this article is a SEBI registered research analyst but not registered as a mutual fund advisor. So before investing please consult with a registered mutual fund advisor. Mutual funds investments are subject to market risk, please read offer documents carefully.